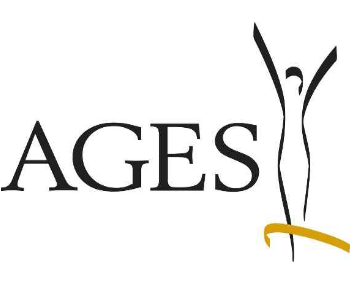 AGES is a government owned agency and research organisation attached to the Federal Ministry for Health and to the Federal Ministry of Agriculture, Forestry, Environment and Water Management. Key responsibilities of AGES are agriculture, food security and food safety, food quality, nutrition, animal health and public health. AGES is responsible for food from soil to fork, effective control and prevention of epidemics for people, animals and plants and providing effective and safe pharmaceutical products. Its 6 business units are Food Security, Animal Health, Human Medicine, Food Safety, Radiation Protection, Statistics and Risk Assessment and the Austrian Medicines and Medical Devices Agency. AGES runs the National Reference Laboratories acc. Reg 882/2004 and reference centers for (human and animal) disease control and agriculture. AGES employs a staff of approx. 1,400 persons of whom more than 40% are scientists or experts with academic degrees. Taru works as a Senior Expert at the Department for Soil Health and Plant Nutrition at the Austrian Agency for Health and Food Safety (AGES). 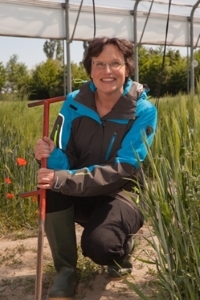 Her works consist of several European research projects (H2020 projects LANDMARK, FATIMA and AgriDemo-F2F, FP7 Catch-C and SoilTrEC) as well as national projects. Taru is one of the founding members of Tea Bag Index (http://decolab.org/tbi/index.html), which is a method to measure decomposition in soils with the help of commercial tea bags. She holds a PhD degree in Geography from the University of Iceland, an MSc in Environmental Science from the University of Gothenburg, Sweden, and an MSc in Environment and Natural Resources from the University of Iceland. Senior Scientist at AGES, Austria, Habilitation to “Docent for Soil Ecology” at the University of Natural Resources and Life Sciences (BOKU Vienna), working on monitoring the effects of different soil management on soil properties related to nutrient and organic matter cycling; soil contamination (acidification, enrichment with selected elements). Scientific management of long-term field experiments. Involved in different EU projects – FP 6 projects ENVASSO, AQUAGRIS; FP 7 projects CATCH-C, SLAGFERTILISER and H2020 projects LANDMARK, FATIMA and AgriDemo-F2F.